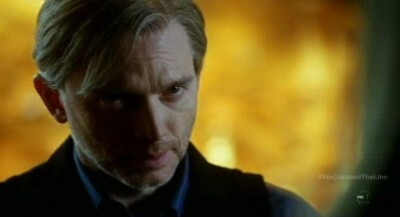 Fringe The Final Episode: “Enemy of Fate”, Master of Destiny! Well Fringe fans this is it, my very last Fringe review, ever. Sad, I know, it has been an incredible journey these last five years. We have seen characters come and go and return again. We have seen shapeshifters, parallel universes, things that no human being should ever bear witness to. We have witnessed what a family is, both on screen and off. 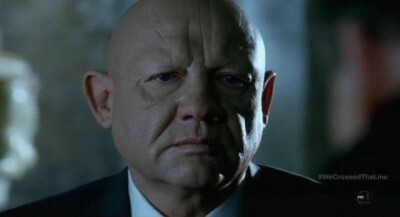 Fringe has become, to quote The Sopranos, Family. Redefined. I hope that you loved this final episode as much as I did. Honestly I did not know what to expect. 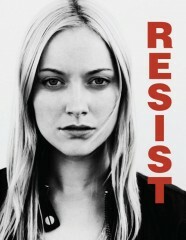 Like everyone, I had heard various Fringe rumors about maybe a time reset was going to happen, and if so that means that Peter (Joshua Jackson) may disappear, that Henrietta Bishop (Georgina Haig) may not be able to be restored to Peter and Olivia (Anna Torv), that Walter would make the ultimate sacrifice, or perhaps worst of all that all the events that unfolded in this final season would have been moot. 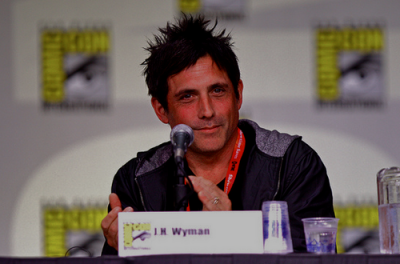 I always had faith in Joel Wyman and the others involved that when they said they penned a love letter they meant it. 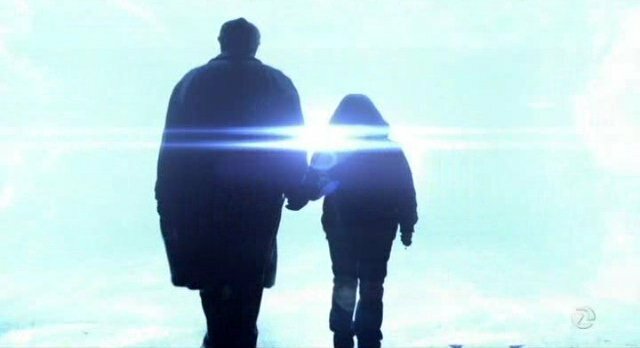 To me this last episode was not only a love letter, but a culmination of everything that made Fringe the groundbreaking, brilliant, funny, edgy, suspenseful, etc show that it has become. There has not been a show like this before and have I have feeling there never will be another one like it. There will also never be a fandom like this again, passionate people that are the lifeblood of this show. Joel and the rest of the cast have always expressed their love and gratitude to us the fans and we whole heartedly accepted it with open arms. 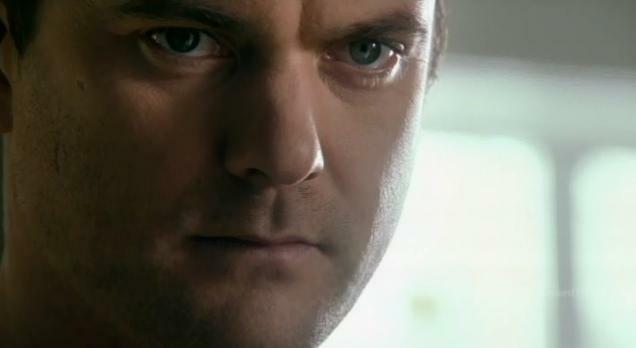 I will warn you now, since this is my last Fringe review, I may get a little emotional, which is warranted considering the epicness of this last episode. 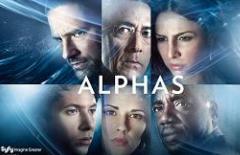 I have used that word epic over and over not only in my reviews but on my twitter account as well when describing this show. When I use words like epic or brilliant I do not use them lightly, I really mean them. So please forgive me if I go a little overboard with the usage of both words. Now…on with the last Fringe review…The opening scene with Donald/September (Michael Cerveris) and December (Eugene Lipinski) is interesting, but it sets up what is to come. I also think that it is a set up in a way of possibly a continuation. When Donald says “If our plan doesn’t succeed they will cease to exist” it makes me think that this has always been planned out. That this already happened before and that due to the reality changes that the Observers are a part of, they need this to go right this time. When Donald asks December “After all this time, the feelings you had for these people, the feelings we all had, they have not grown in you?” I know he was talking about the original 12 Observers. The ones that had started it all and the ones that were closer to what Michael (Rowan Longworth) is than Windmark (Michael Kopsa). I do believe that is why December and September always had a soft spot for the Bishop Boys and Olivia. “When we first came here we did not know the true nature of our expedition” September tells him. It freaks me out to see this scene again, because again, it is a sign that this all happened before, that the original 12 were sent back to fix the problem or to make sure this time that the plan went right. 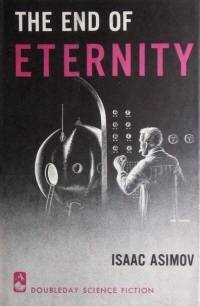 I am going to be quoting a book that was recommended to me by Kenn (it has since become a favorite of mine) called “The End of Eternity” by Isaac Asimov. This book is chock full of very Fringe like references, including Observers, time shits, alternate realities, etc. It is the one book that has allowed me to understand Fringe a bit more. If you have not read this book I highly recommend it. The reason I bring this book up is my previous statement that both December and September knew the consequences of what would happen if their plan did NOT succeed, hence the changes. They need to get it right this time, for humanity sake or it would surely be an invasion all over again, but maybe worse. “Destiny can be changed” Donald reminds December and it already has been, a few times, why not one more (or a few more) times. I love that September makes the justification that the people of this era are worth saving. That is the nature and reason for the reality changes, the book talks about that, too. 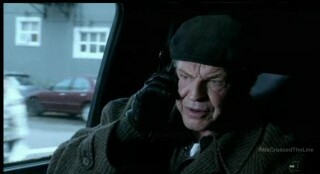 Walter (John Noble) and his comment about a cancer inducing cell phone is hilarious. It must be so frustrating being a genius when everyone else around you is so dumb! I am certainly going to miss his Walterisms, they are such a part of the Fringe lexicon that I have uttered a few in my everyday life. That is the brilliance of John Noble, he has such a wonderful way of making things his own and putting his signature on them. There will certainly be a void of that kind of wit on TV. 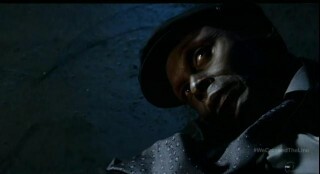 Uh oh Broyles is all I can think when Windmark appears in the garage. 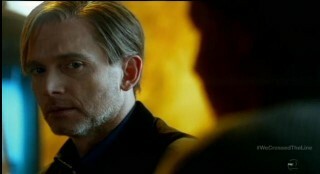 I love that Broyles is always walking that fine line between both worlds. 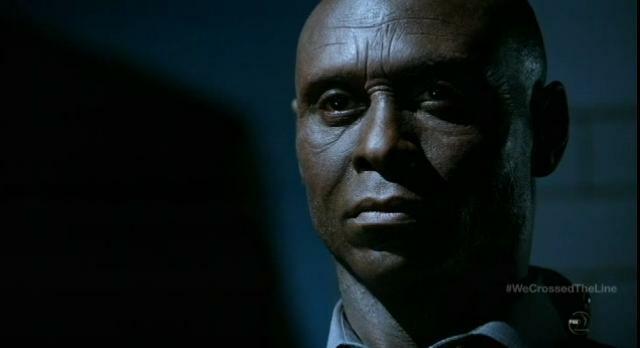 Lance Reddick does a great job at making you understand why he is doing what he is doing. Whether it be his Alt character helping Olivia (Anna Torv) escape from the Alt universe in the Entrada episode while he sacrificed himself, or his trusting Etta (Georgina Haig) and her ability to teach him how to block the thoughts from the Observers. 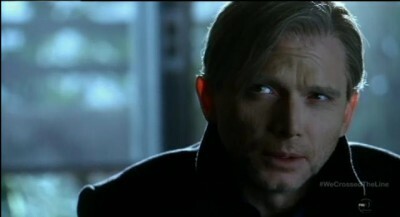 Broyles has always been a moral character; you know how to perceive things by how he perceives them. The gang returning to the lab with Michael (Rowan Longworth) in tow looks like a family vacation gone awry. When Olivia asks Donald why Michael stepped off the monorail, his answer is short “Apparently there was a reason, there always is” again reminds me of what he said to December about why these people should survive, why time should be reset. 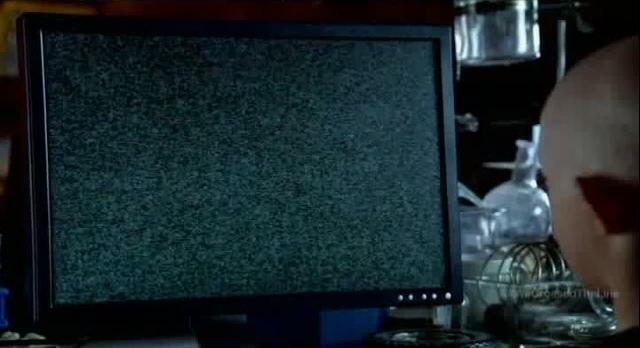 It is sweet to see Michael’s reaction to the static on the computer screen. It is such an innocent one, he is smiling, and it almost makes you think that he sees something that we do not. Often it has been said, in paranormal studies, that “white noise” actually is living. 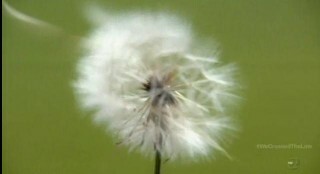 It has voices and shapes that we normally miss. Leave it to a child to make us aware of such things, their imaginations and emotions are deeper than those of us adults. Deeper and more real because of the purity of them, they have not been corrupted by life and such to warrant bad feelings. 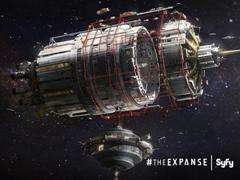 When Donald had said that the initiating reactor core has been deteriorated and enlisted help “from my time” makes me think that this plan has already happened and that the shift is almost in place to make the REAL change. He needs it to make it became THAT reality. Asimov’s book again comes into play here, again, with the time shifts and the changing of realities. I love hearing Walter explain to the others what the purpose of the device is that Donald is building. It is always great to see him when he gets into his scientist role; it brings out that wondrous part of him, with a side order of mad genius. John Noble always makes science fun and easily accessible. It is no wonder he is also the host of that great TV series Dark Matters on the Science Channel (shameless plug, I know, but worth watching). As I mentioned in a previous post about Michael being the Archangel, Donald confirms it. He says that when he gets to the year 2167 Michael will change the course of human evolution. Just as Archangel Michael changed the course of his destiny and that of the chosen ones. Just like Olivia changed the course of her history and timeline, just like Peter did and ultimately just like Walter did. It comes full circle, like it was always meant to be this way, that Peter (Joshua Jackson) was always supposed to meet Olivia (Anna Torv) that they were always supposed to fight for a greater cause. This was always supposed to happen, maybe it got a little of track, but these people were always meant to do what they were destined to do; it just needed a little tweaking. 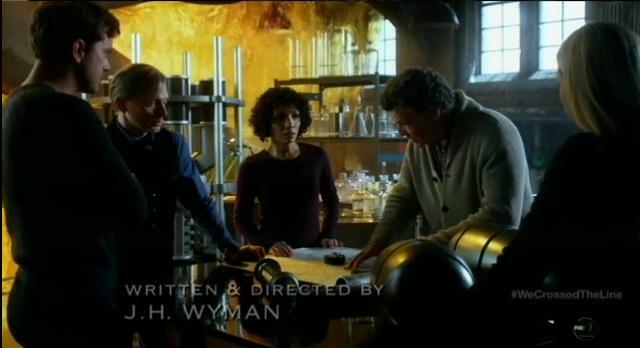 The way that Donald looks at Walter when Astrid (Jasika Nicole) asks how he will know who the scientist is, is again a sign that this plan was always in motion. Walter has a look of knowing a look of acknowledgement like he knows the answer but is not willing to volunteer the answer. 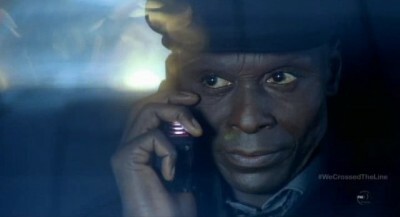 I love that Broyles knows he has been compromised by how he notices the gloves on his dash. He does the right thing by leading them on a wild goose chase. It is unfortunate that he cannot be there to help them, but he also does the right thing by sacrificing himself again for the greater good. “The most important thing is the plan” is what Broyles stresses to Olivia, no matter how much she protests. That is one of the many things I love about Broyles, moral to the end. 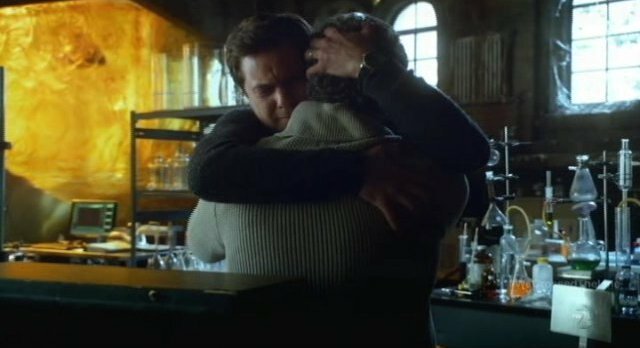 This next scene with Peter (Joshua Jackson) and Walter (John Noble) is by far the best scene ever filmed in Fringe history…in my opinion. There was a picture if this scene posted on Facebook and twitter and now we know what it was a part of. 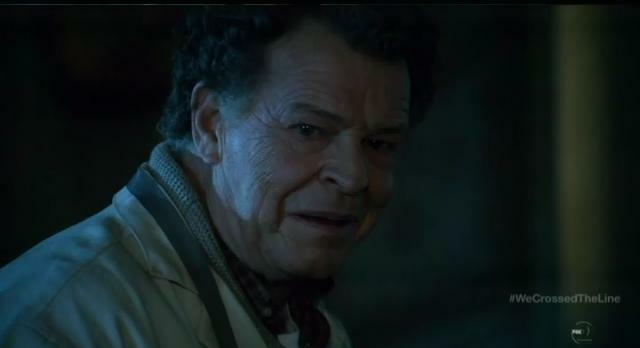 The emotion in this scene is outstanding, John Noble has never been better and I do not think he will ever be able to top this scene. Watching this again it make me realize that this is not only a scene between a father and a son, but two men, two actors who have grown to love and respect each other as a real father and son. The love and respect that they both have for one another in unquestionable, them saying goodbye was for real and I am sure that both Josh and John will never again experience anything quite like it. 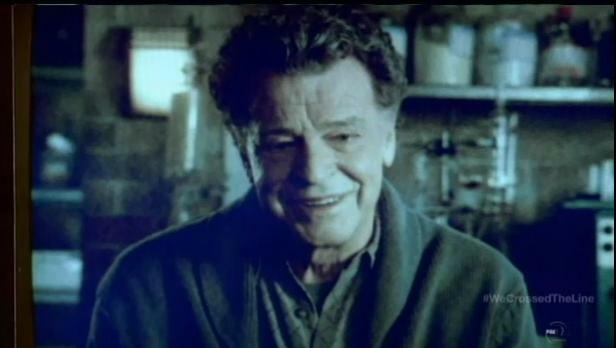 Watching John Noble in this scene is astonishing; again a word I don’t use often but when I do its meaning is perfect in this scene. There are a few times in my life as a director when I have been rendered speechless by an actor, whether I was working with them or w atching them on screen, this is truly one of those times. 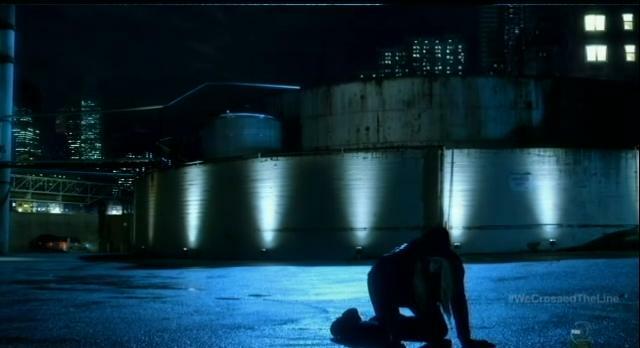 The raw depth and immense power of John and his emotion is so powerful that he floored me, literally. I was so moved that my floor was littered with used tissue after tissue. 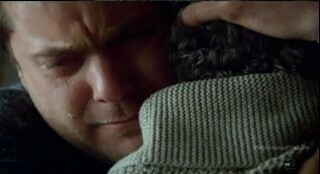 Josh is fantastic in this scene as well, his love for this man is evident, not only in real life but on the show. Josh truly did find a father figure in John as did the rest of the younger cast. 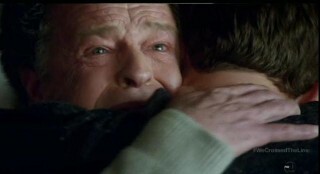 He was saying goodbye to Walter and to John at the same time; his emotion has never been more real than in this scene. This is the purest Josh has ever gotten, not even when Olivia (Anna Torv) was shot and killed or shot again, not even when Etta (Georgina Haig) died or his upon seeing his mother Elizabeth (Orla Brady) again. This is what real love, respect and friendship is folks and Josh and John are showing us in spades. It is hard for me to really expound on this scene any further, watching it is the only explanation needed. That alone will give you the answers to the question of what is brilliance and talent and I say to you…this, this scene is. 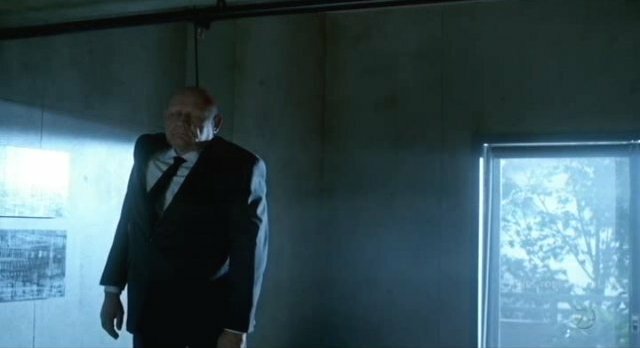 Okay, now that I have sufficiently cried myself silly again watching this scene, let’s talk about the paradox that Walter mentions. Again I must go back to Asimov and what he says about paradox “in every apparent paradox of time travel, reality always changes to avoid the paradox and we come to the conclusion that there are no paradoxes in time travel and that there can be none”. Reality has to be reset and Walter knows this, hence what happens at the end of this episode and why it is so significant that we are hearing this now. Walter mentions how nature abhors a paradox; it has to heal itself (reset itself if you will). It is so brilliant that Joel had picked up on this; I suspect that he has read Asimov and incorporated the paradox and reality changes because of him. Asimov also writes about reality “With an infinite number of Realities there can be no such thing as determinism”. Sound familiar? September said something similar to Walter about why he cannot know the absolute outcome because nothing is determined. 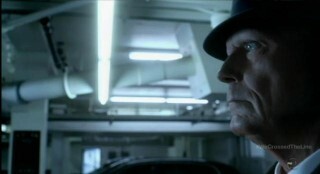 The mere definition of determinism is what has been a thought line in Fringe from the beginning. Real is just a perception, as has been mentioned time and time again and has always been in the background somewhere. 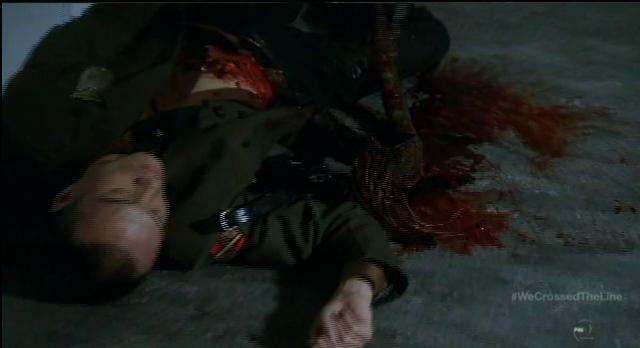 It is so sad when you see the final fate of our friend and fellow Observer December (Eugene Lipinski). His death was not in vain, he died to help the team. This may be a weird coincidence, but it seems that every death of a significant character in this season has served as a reminder of what is at stake, what the team is fighting for. No death has been in vain, it has been the catalyst and what will finally drive the fate of the team. When Windmark gets his hands on the reactor it is not a good sign, but then you know that fate has another chance to rear its head. Never count out our team; they are never down for the count. With all the references to realities, time travel and the shifting of realities, I cannot quote all of the time Asimov uses these to make my point in Fringe, so I will ask that you read the book and understand what I mean. When you see Broyles get caught by the Observers that is when the episode shifts. The stakes have now become higher and things are at the most dire. It’s getting real people! Leave it to Olivia to go to Michael to figure out the plan. Maybe they do really have a connection after all. They are basically the same, in some weird way, both anomalies, both children that possessed something far greater than ever imagined, both children that essentially changed the realities and timelines. “Because it’s cool”…oh Walter, how we are going to miss your little Walterisms. I suspect that Fringe fans all over the world are uttering this as I type this! It is another one of the many, many cool ways that Fringe has become part of our everyday lives. I absolutely love love love the scene with Jasika and John when she shows him Gene. It again is a true testament to the friendship and special bond John and Jasika have formed over the five year run of the show. It is also so incredibly beautiful that he FINALLY acknowledges her real name and how beautiful it always has been. John, you kill me, literally kill me! 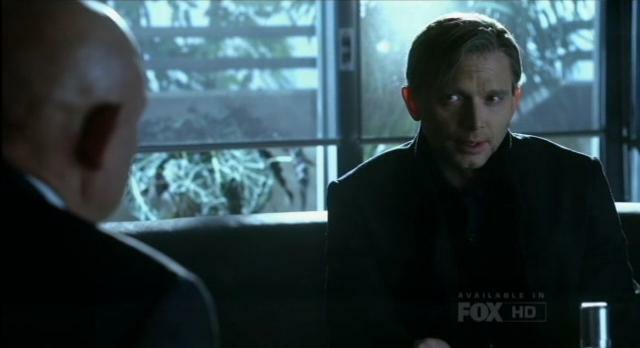 I love that Windmark tells Broyles about the original twelve that arrived and that there assignment was to observe. Something strange happened…Hmm, I wonder what could that have been? “They succumbed to irrational emotions,”…no Windmark, they were just being human! It is such a great scene, because Windmark thinks he is superior to Broyles when as Nina (Blair Brown) pointed out in the Anomaly episode that the Observers are the primitive ones and we are the advanced ones, well we eventually learn to be more advanced thanks to Michael. “I believe you call it hate” states Windmark, “the feeling is mutual” Broyles retorts! Match point to Broyles! The beautiful scene in the car between Peter and Olivia is what Anna and Josh do best. They have always had an uncanny ability to be perfectly intimate with the world watching. They are great at dropping the fourth wall and making the private public, which is why they are one of the most epic couples in TV history. Their hope (that word!) of seeing Etta again is closer than before. It makes me happy that their fight was not futile, that the hope Olivia had that she would be able to finally be the mother she ultimately wanted to be. 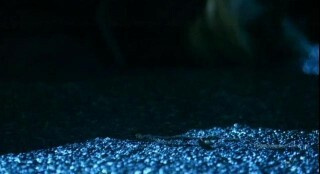 It is such a sweet thing that Peter gave her the bullet that truly did save the world! Now we are at the part that for me becomes the locomotion to the end. 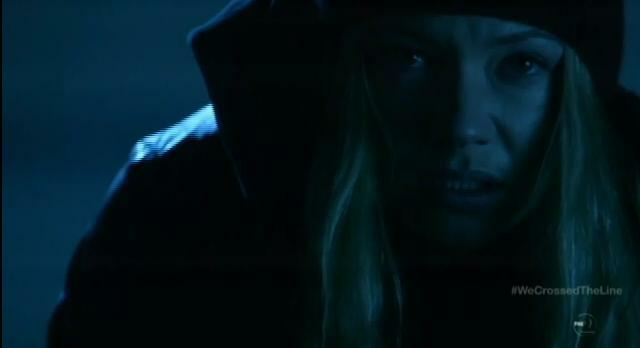 It is so fraking cool what happens to the Observers that enable Peter and Olivia to conquer. Again the old school Fringe is harkened back to. It was so great to see some of the past cases come back to life, albeit a bit gruesomely, but still neat to see again. I love that Donald volunteers to go to the future in Walter’s place. It is a very noble thing to do. I love that throughout the run of the show Michael Cerveris has always been a favorite of mine. This multi talented man has shown us his true colors and I for one love it. You always knew there was something different about September and that is one of the reasons he became one of my favorite characters. So when September told Peter “It must be difficult to be a father” all those years ago, he knew in some weird way that feeling. Now as Donald he knows it with every emotion he has, he knows what Walter felt about Peter. “It’s about changing fate, it’s about hope” well said Donald! That word again is the theme, sometimes it is all you have to hold on to, that is what gives you strength to carry on. Let the Fringe freak fest begin! The floodgates are now open! Here comes the pain! I was cheering loudly when the plethora of old Fringe events started spreading like wildfire. It was so great because it reminded me of all the past episodes and seasons and how extraordinary this show is and will always be. 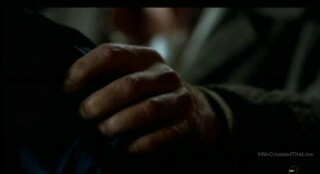 When I saw the six fingered hand, I thought to myself, The Princess Bride, which I have referenced before in my posts. Remember him? Christopher Guest played him well…but I digress. Let’s fast forward to the last ten minutes of this episode. These scenes are the most crucial to me; it is what we as a fandom have finally been waiting for. It is not only the final battle, but the final chapter in the wonderful love letter that Joel has penned for us the fans. From the gun fight which reminded me of an old western film to the floating Observer (Walter was right, it is cool! 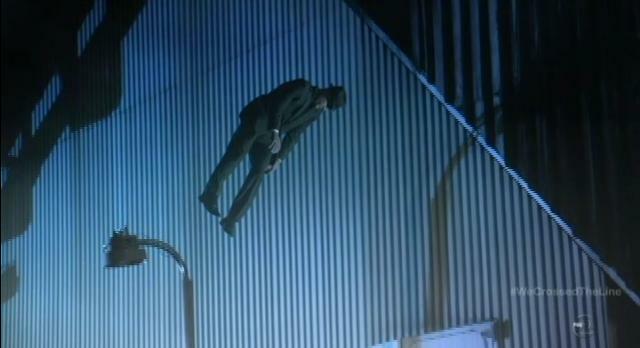 ), Fringe has always had the makings of epic television. Watching these scenes again I am filled with the excitement that I was the first time I watched the episode. How edge of my seat I was hoping and praying that the plan goes perfectly. It is such a great treat to watch it again and still feel those emotions surge in my body! As Peter and Windmark battle, the thoughts that went through my mind were “the plan will work, I know it will,” but there was still a glimmer (yes pun intended) that it may fail. Bite my tongue, I know but then again it’s Fringe, anything can happen. Ironic that Windmark had Olivia by the throat much like he did Etta? What follows this scene is perhaps my favorite Olivia scene ever. It is what Olivia was meant for, what she was born for, what William Bell (Leonard Nimoy) had said time and time again she was used (I hate to use that word, but it fits) for. She was always the strongest one as Bell mentioned, kept Peter by her side, but Nina reminded her that she always had an incredible capacity for compassion. It was Olivia’s capacity for feeling that made both Walter and Bell use her…Nina (Blair Brown) said that Bell needs something from her. Just like they need something from Michael, he is the chosen one as well. It is the reason Michael has always had a strong connection to Olivia. She is the chosen one as Bell states. She has always been afraid of her abilities, but Nina again pointed out that Olivia always had the most extraordinary gifts, the only thing she denied was knowing, she’s had the power all along…(Wizard of Oz reference again). 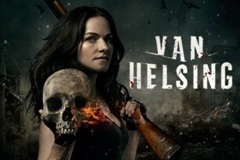 Damn I love this show). “Olivia is an uncertainty engine, every breath she takes brings us closer to nirvana, and with every beat of her heart she tears the world from its hinges. She is the redeemer” Bell said, about Olivia and in this scene she proves it. 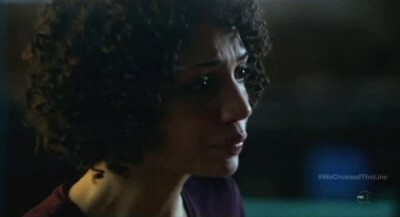 When she sees the necklace strewn across the ground, I bet Etta flashes through her mind, her baby girl, her “perfect little soul” her second or in this case third chance to get her back. I love this scene, Anna is extraordinary. It reminds me of a Phoenix rising from the ashes, the power she posses to inflict the final blow. How fitting is it that Windmark is crushed, literally and figuratively, by Olivia. That she was the redeemer; she did have the power the whole time. The fear and love she has always possessed have been her triggers and the cortexiphan her weapon. 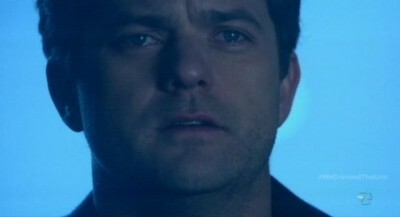 When Donald/September got shot I guarantee you there way collective screaming and flailing across Fringe fandom, but remember this is Fringe, everything happens for a reason. It was sad to see Donald meet his fate, but it was also I suspect the way it was always meant to be. 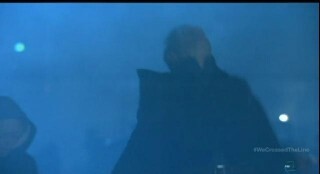 The tune that Michael plays is Greensleeves and the significance is perfect in this situation. It is as it always has been how it was fated to be. It started with Walter and a boy, it will end with Walter and a boy. It is because of the immense love that Walter had for Peter and it ended with the immense love Walter had for Peter. It came full circle again; Walter saved a boy…again. It was such a beautiful scene with Josh telling John he loved him, I bet that was genuine! As I am watching Walter walk off into the proverbial sunset, I am tearing up, but not from sadness, from joy! He finally became the better man…this time. Remember Walter is not dead, he is in the future. Something John Noble said in the last Noble intentions that makes me think we will not only see him again, but the cast possibly in a movie. He had mentioned that because Walter is in the future, for a while, he may miss his family and want to come home for a bit…there is always hope. And so brings us to the end…or rather the beginning again, of a whole new life. A rebirth of sorts, a chance for all of them to start over. As I watch the end I cannot help but feel a swell of emotion. I write this through blurred vision, because of the tears in my eyes. The ending is perfection. I had told Kenn that there were two places that the reset would happen, either Etta’s birthday party or the park and I was right on one. I am so glad to se e our beloved Bishop family intact again and enjoying their third chance at happiness. How does the saying go, third time is the charm? Olivia finally has her third chance, she finally feels like the redeemer Bell always said she was. She is at peace, I believe, finally having her life, love and daughter back where they belong. 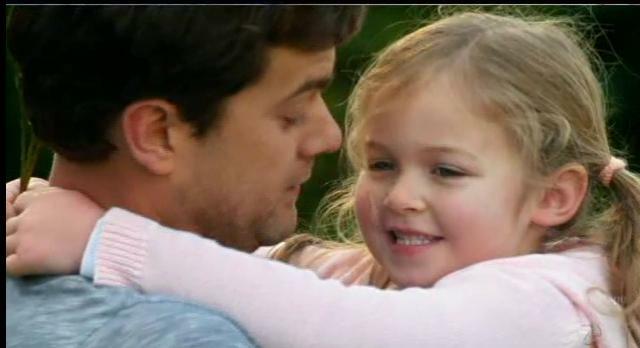 Peter with Etta is so amazing; he has such love for this little girl. Josh is great, so tender and loving! No comes the conclusion to the longest love letter in history. 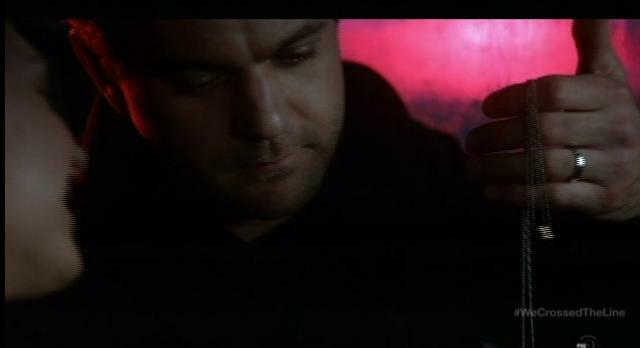 The shot of Peter (Joshua Jackson) looking through the mail is great. You can see a letter or ad that says “Thanks for the support” which I think Joel put in there as a thanks to all the fans that have supported the show through the five year journey. What really, though, is the ultimate “We love you” to all the fans is the symbol that has meant so much in the Fringe world and to us fans around the world. 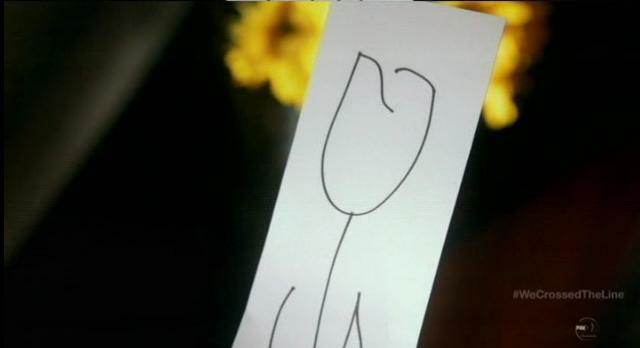 The White Tulip, the symbol of solidarity, of forgiveness, or what a son means to his father and what this show has meant to all of us. The look that Peter/Josh has in his eyes leads me to believe that this saga is not over that we may (fingers and toes crossed) see a movie in the future as John Noble hinted at during SDCC 2012. Well, my fiends I will share this quote from Peter Pan “Never say goodbye, because goodbye means going away and going away means forgetting” so instead of saying goodbye to Fringe, I will bid see you again. I want to take this opportunity to say thank you to all the fans I have become friends with over the years. I want to say thanks to Kenn, Managing Editor of WHR for allowing me to be a part of this amazing team of people that covered this amazing show. Most of all I want to thank every single person ever involved in Fringe; you have brought me such joy, such happiness, such laughter and such tears. It is because of you that I found my creative life again and that means more to me than you will ever know. I hope you enjoyed my final Fringe review and my previous news articles about my analysis of Fringe and I thank you for visiting WormholeRiders News Agency. Please feel free to leave a comment here or If you prefer, you may also click the social media icons below to share this news article or as many of our readers and visitors often do, visit the WHR on Facebook or me on Twitter by clicking the links or images avatars in this news story. See You on The Other Side“! Enjoyed your perspective! Let’s hope we see the Fringe team again. Thank you Mike! I am glad you enjoyed the review and yes I, too, hope we see our beloved Fringe team again. Hello. You guys write the best review I ever read. I will miss new Fringe on Friday nights but we have Science Channel. I hope there will be a movie. Thanks so much Ann! I am glad to hear that you like our reviews. I am hoping as well for a movie and hopefully we will get an announcement soon. Fringe will always be a part of our lives…it will never die! 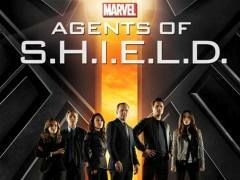 « Fringe: “Liberty”… The Fight for the Universe!